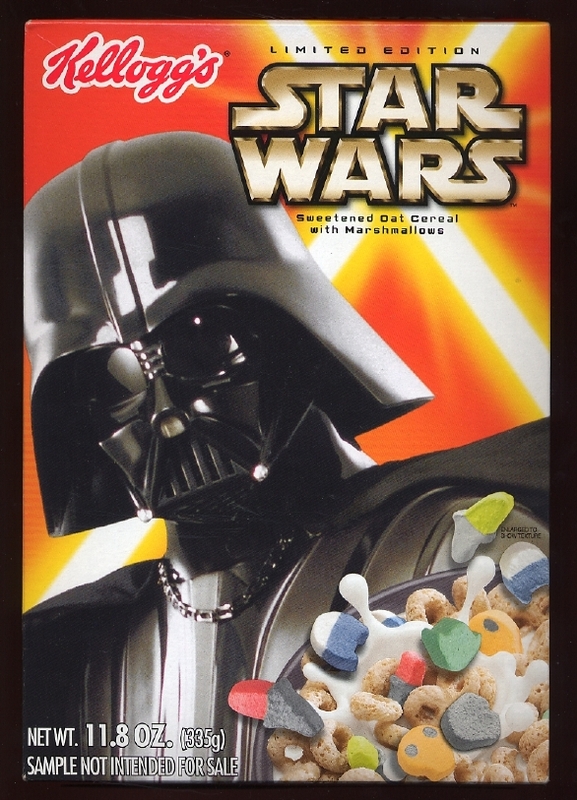 This is a prototype box of Kellogg's Episode 3 cereal. The box feature a light side and a dark side with Yoda and Vader, respectively. 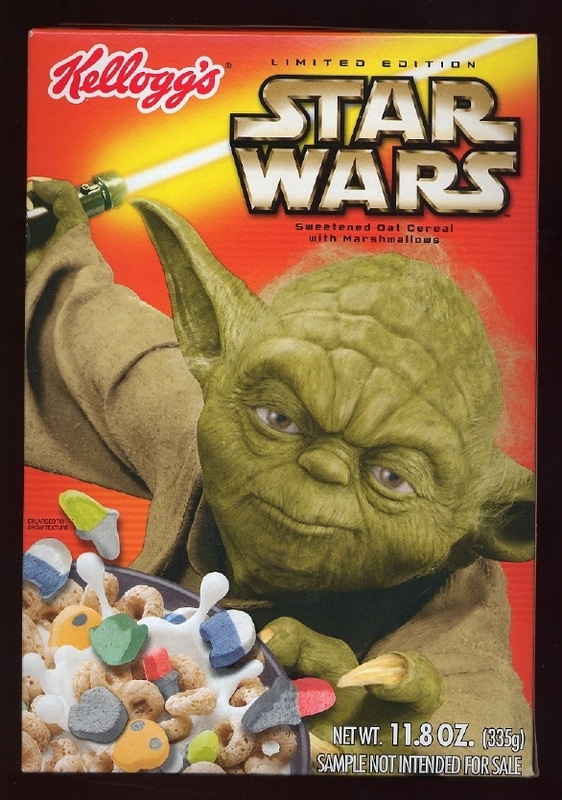 The corner is clearly labelled "SAMPLE NOT INTENDED FOR SALE", so it's unclear if the boxes issued with the release of Revenge of the Sith will bear the same resemblence to this prototype.